Merry Christmas Everyone! Ha! It feels like Christmas with all these awesome giveaways happening! Check my giveaways page above for the deets and links to some awesome ones! 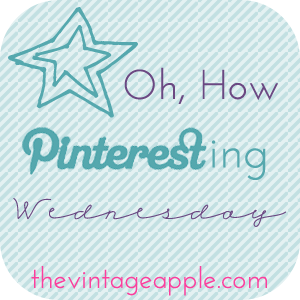 I'm pinning some fabulous Christmas pins on behalf of Christmas in July! I love all of the different lanterns! Christmas lights in a jar to use as a lamp/decoration! I love this wreath! girly/christmasy/natural! wrap 25 christmas books to read one each day leading up to Christmas! Totally doing this in my classroom! Click on the logo to go learn more about me! Speaking about learning about each other, I've seen so many bloggers linking up to the "tell me more" party, and I think that instead of including mine in a post, I'm going to update my "about me" page soon, and link it up! So check back later this week for an update there! For today's post, I also wanted to give you a techy tip, to provide some content for you to use! Have you used Prezi before? Prezi is a website where you can create presentations on a digital canvas, to display info, to use during teaching/presenting, or to make learning come to life for your students! Here is one that i made on the phases of the moon! Explore mine, and create your own by clicking on the link above! There are tons of ways to use this in your classroom- you could teach with one of these that you have made or have found on the site. You could have your students research using your prezi. They could make their own prezis and present to the class. you could make a prezi for them to explore during a center. THE POSSIBILITIES ARE ENDLESS! If you have questions, comment below and I'll answer them to the best of my ability! I am your newest follower! I love all the great ideas you have on your site! Check my blog out sometime!